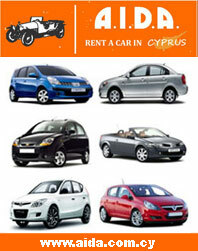 Europcar company is a trusted company offering car rentals in Cyprus. Our company offers is based around our three simple principles, they are, value for money, instant booking/hire details and true after sales service. We realized that there were many car hire brokers and car rental companies worldwide, all apparently offering good value vehicle rentals along with excellent customer support. However, after a long time researching these suppliers we soon found that a lot of them fell well short of what they said they were offering.